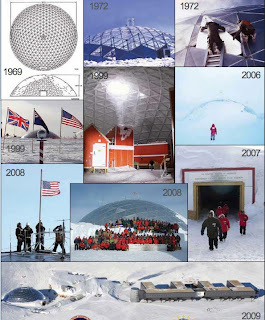 This year is a special year for those who have worked at South Pole station. 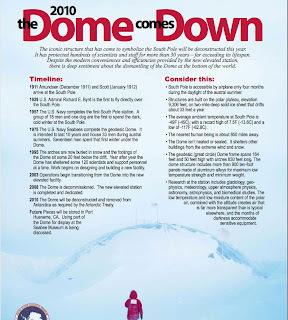 The old station, the Dome, is coming down. I believe part of it is being taken to a museum, but most of it is being taken away as scrap. One day, the Traverse or a LC-130 will bring it back to McMurdo to be put on a cargo vessel and sent back to the states.